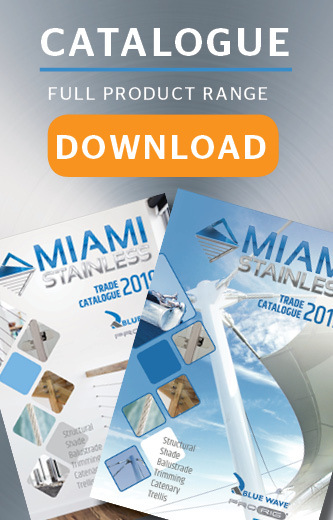 Miami Stainless Rod Terminals are high quality AISI 316 marine grade stainless steel and designed as an aesthetically pleasing finishing terminal, particularly for stainless steel wire balustrade. 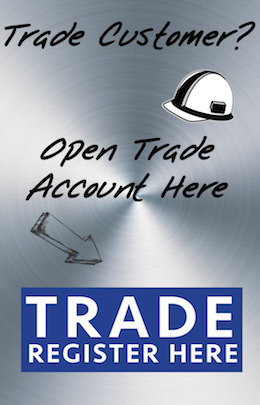 Miami Stainless supplies the ultra high quality ProRig and high quality Econ brands. Rod Terminal Long 48mm x 6.2mm to suit 3.2mm Wire Econ AISI 316 Miami Stainless 48mm x 6.2mm Rod..
Rod Terminal 35mm x 6.2mm suits 3.2mm Wire Econ AISI 316 Miami Stainless 35mm x 6.2mm Rod Termin..
Rod Terminal 35mm x 6.2mm suits 4mm Wire Econ AISI 316 Miami Stainless 35mm x 6.2mm Rod Terminal..
Rod Terminal 37mm x 5.2mm suits 3.2mm Wire Econ AISI 316 Miami Stainless 37mm x 5.2mm Rod Termin..
Rod Terminal 40mm x 7.2mm suits 5mm Wire Econ AISI 316 Miami Stainless 40mm x 7.2mm Rod Terminal..
Rod Terminal 41mm x 7.2mm suits 4mm Wire Econ AISI 316 Miami Stainless 41mm x 7.2mm Rod Terminal..
Rod Terminal 40mm x 7.2mm suits 5mm Wire ProRig AISI 316Miami Stainless 40mm x 7.2mm Rod Terminals&n..